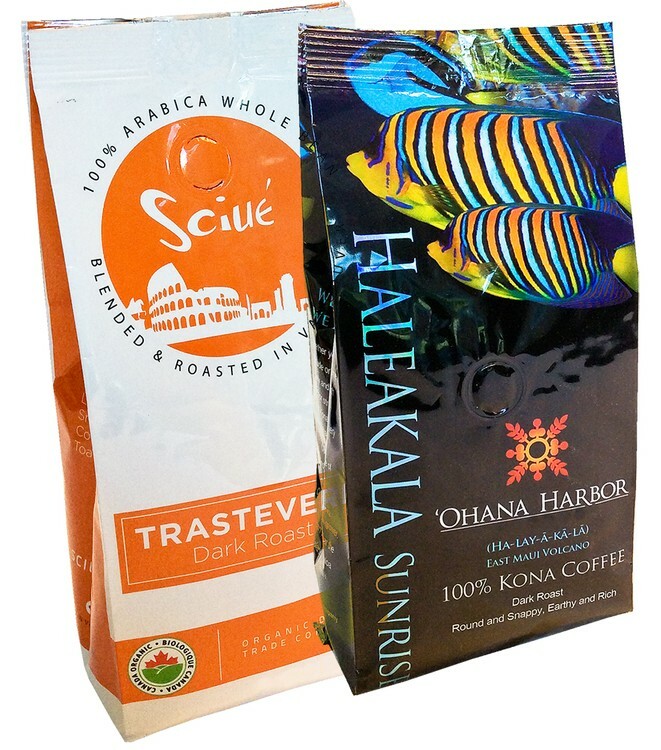 A large package of our fresh roasted (ground) Arabica gourmet coffee packaged in a stay-fresh foil bag. Each 6.0 oz. package yields approx. 4 full pots of coffee. Must be ordered in case quantities of 12. Flavors available: Double French Vanilla, Hazelnut and Cinnamon Crumb Cake. Add .50(C) for flavors. Inquire about custom blends such as Cuban blend, Costa Rican blend, Hawaiian blend, French Roast, etc.